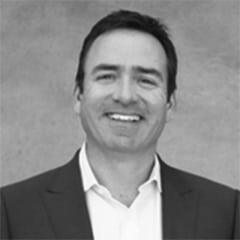 Ken Lowney founded Lowney Architecture in 2003 and is the President & CEO of the firm. Mr. Lowney has worked with small and large companies, non-profits, city governments, communities and private developers in Northern California and throughout the United States. Project expertise includes modular, grocery stores, retail, multi-family housing, restaurants, offices, parking structures and master planning. Ken’s approach to architecture is rooted in his belief that architecture is more than simply buildings; and, if thoughtfully and responsibly done, it can positively contribute to society and advance a community. In his hometown of Oakland, Ken leads discussions about community and economic development while serving leadership roles in SPUR and the Oakland Metropolitan Chamber of Commerce. On regional and national levels, Ken participates as a full member of the Urban Land Institute (ULI) Small Scale Development Council and the International Council of Shopping Centers (ICSC) Northern California Program Committee. He frequently speaks about design innovation and the future of cities. Ken graduated from Occidental College with a bachelor’s degree in philosophy, studied architecture at the Architectural Association in London, and earned a Master’s degree from the Southern California Institute of Architecture (SCI-Arc).